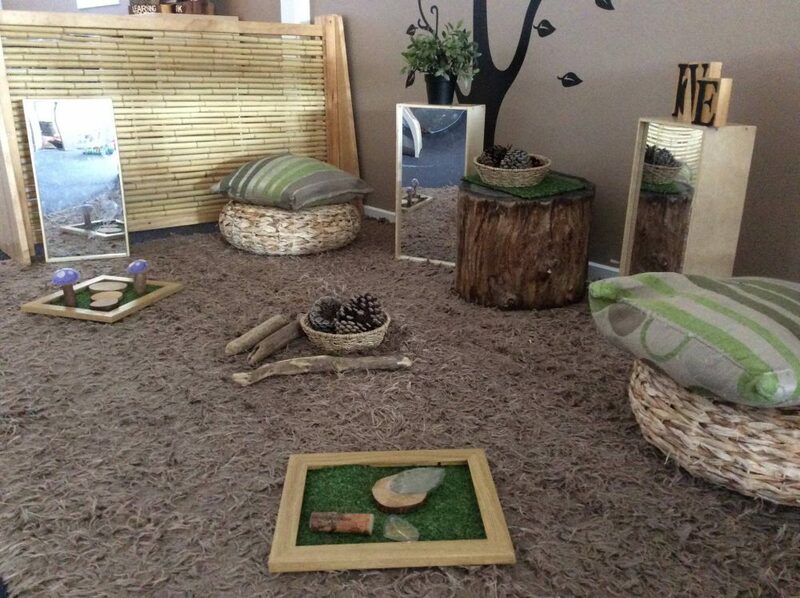 Designing playful learning spaces for babies and toddlers. 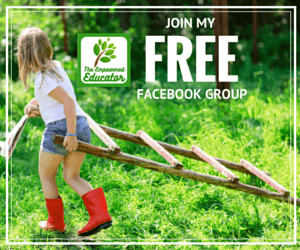 Share ideas, support, activities, inspiration and environments with other early childhood educators from around the world in our Facebook Community! 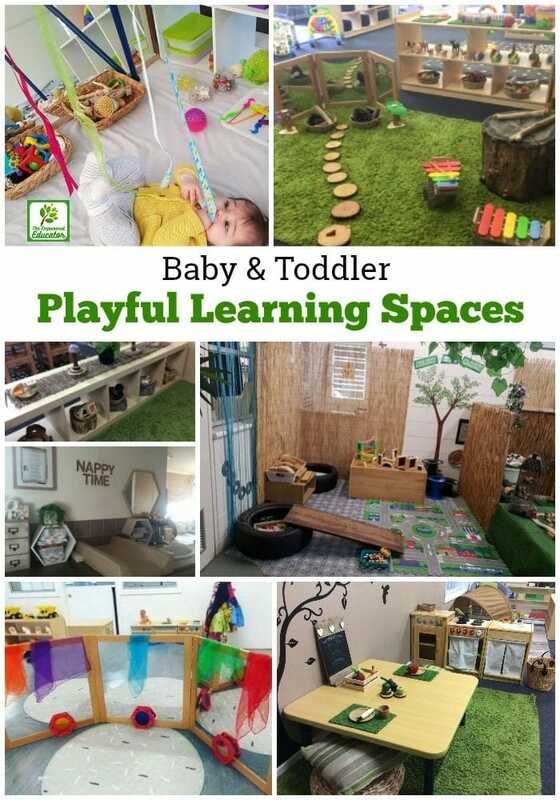 Creating engaging , welcoming and playful learning spaces for babies and toddlers is just as important as setting up environments for older children. However, I know that sometimes this is easier said than done and educators can struggle to find the right balance between offering an environment that is developmentally appropriate and yet still allows for both security and basic caregiving needs to be met alongside the freedom of exploration as they challenge and extend upon new skills. 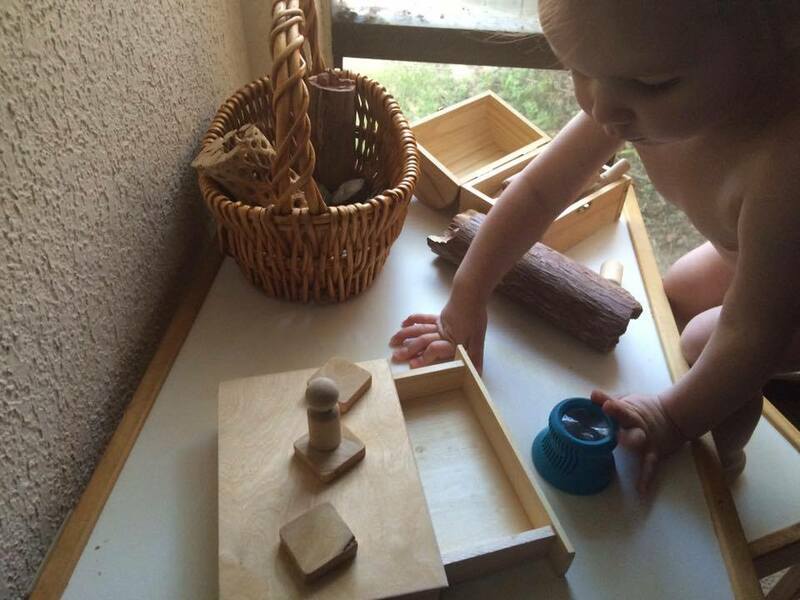 Why is designing a playful learning space for babies and toddlers so important? We know that babies and toddlers tend to learn and adapt best in environments where they can form secure, trusting relationships with caring and responsive adults, where they always feel safe and a sense of belonging. It can be challenging to work and plan for this age group as they require close supervision, positive guidance and stimulating experiences while they feel their way through a period of very rapid growth and change. Anyone who has spent time with this age group will know how easy it can be to feel overwhelmed with the constant cycle of just meeting basic comfort needs like nappy changes, feeding, bottles, naps and sleep times and yet there is also pressure to include additional ‘learning’ activities and experiences. 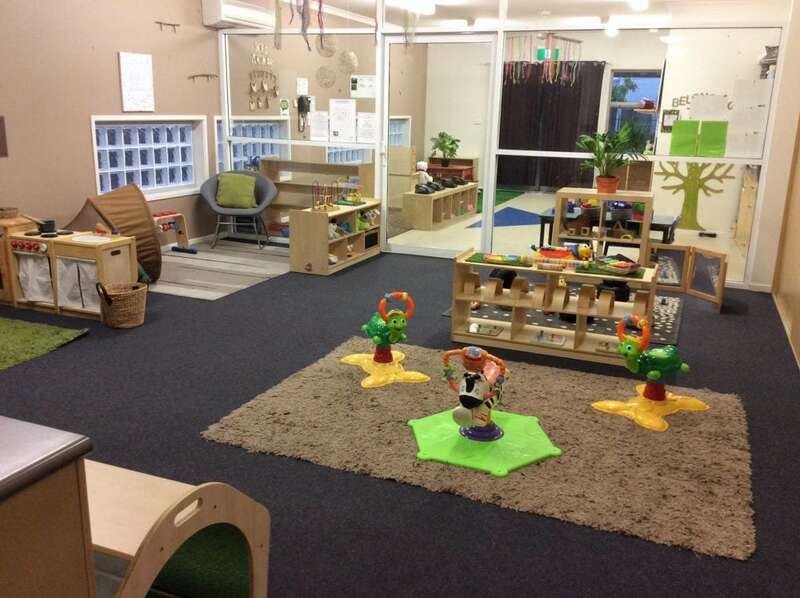 Instead of trying to ‘do more’ and ‘program more’ though why not first focus on the actual environment – the ‘bones’ of the spaces baby and toddler will spend the majority of their time while in care. 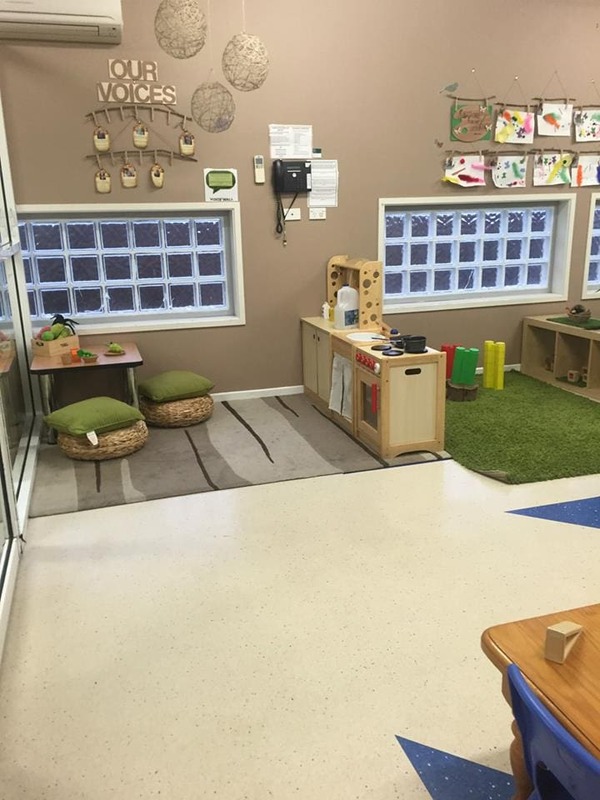 A well thought out and set up room can actually make things easier from the start by incorporating both the necessities and needs of daily care and security as well as providing the flexibility and freedom this age group needs to explore and build upon emerging developmental skills. 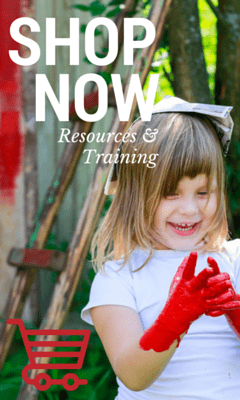 This age group does not need a program template filled with new and different creative activities every day – they just need an environment that supports their unique needs and provides the security of regular educators they can connect and bond with. 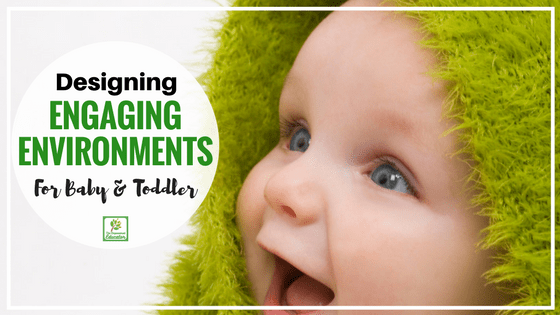 The learning will follow so I encourage educators working with babies and toddlers not to get so stressed about planning the perfect activities while also trying to fit in the endless cycle of nappies, sleeps, feeds and vomits! 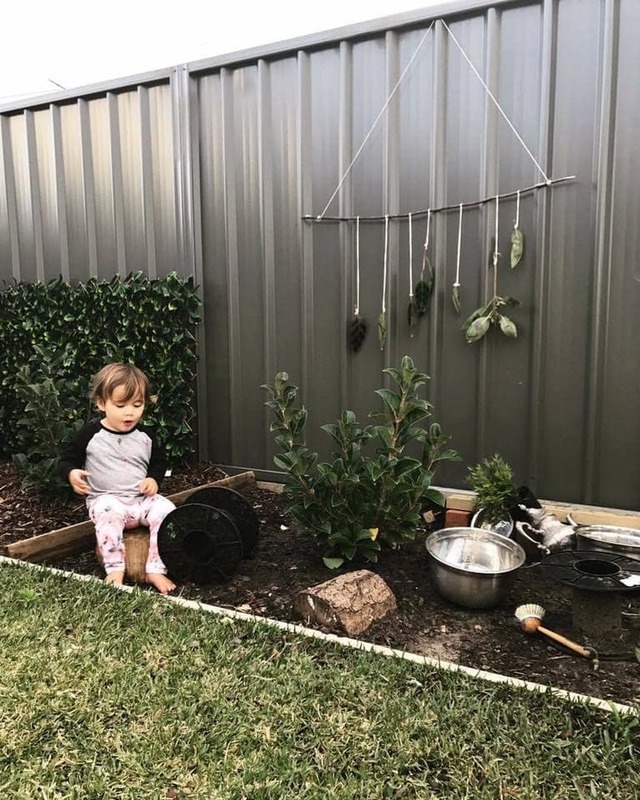 This age needs to be approached a little differently – especially if you are used to planning and creating spaces for 2.5 years up but it can also be so rewarding as you get to nurture and guide those first learning steps and watch little personalities emerging. Yes there will be the time you walk into the cot room and there is a lovely drawing on the wall in poo or you will find yourself always needing a second shirt change after lunch because the sick smell you thought was following you IS you. And there will be days where everyone just seems to want to cry (including you) and the paint activity you lovingly prepped ends up in the toddler potty as you change yet another nappy….but there will be wonderful, special moments too and you can take a lot of the pressure off just by putting a little thought into how you can set up the best possible environment to meet both the baby and toddler needs as well as the adults! 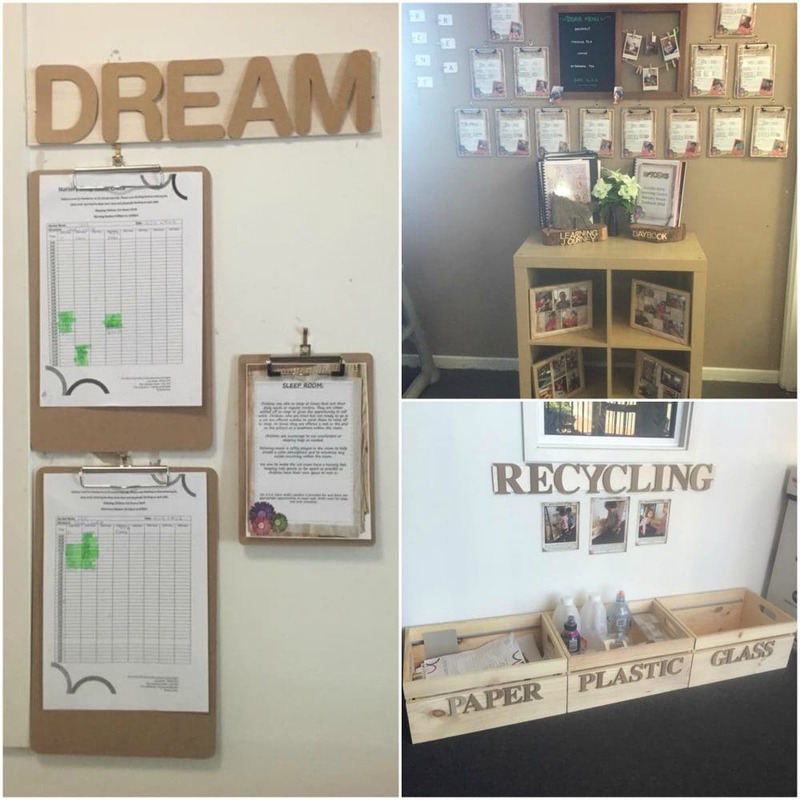 To help get you thinking about your own environment I’m sharing some simple strategies and ideas to consider as well as loads of visual inspiration from real educators just like you! Remember that everyone is different though with access to different budgets, resources, service types and space so don’t feel you have to recreate the spaces throughout this article, just take an idea or element here and there that you would like to embrace or use. 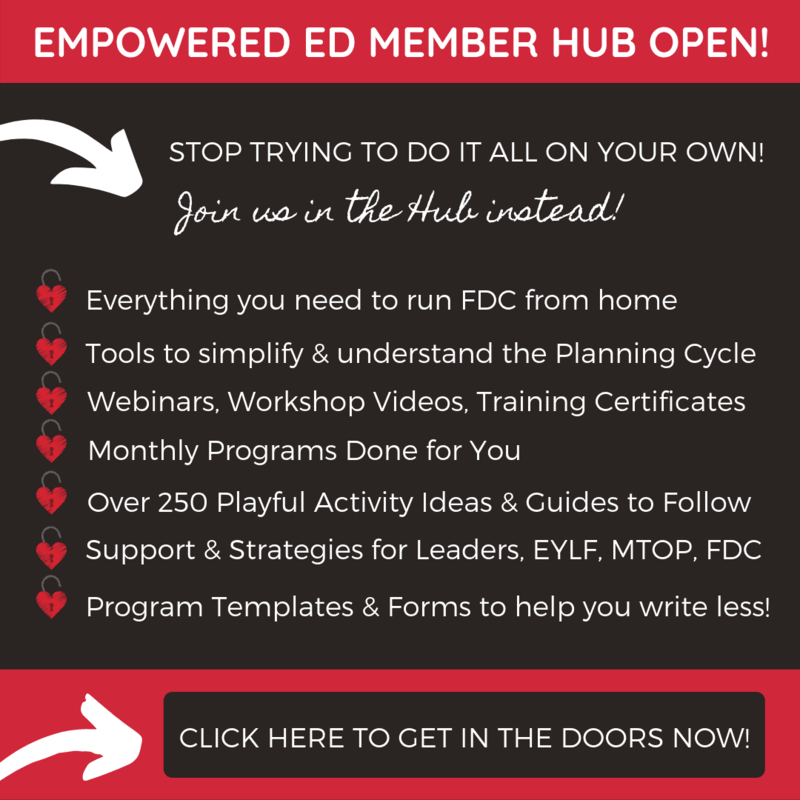 Small steps help make change….this post is a big one so if you would like to download a printable PDF factsheet to refer back to the information in this article just click on the image below and tell me where to send it for you! 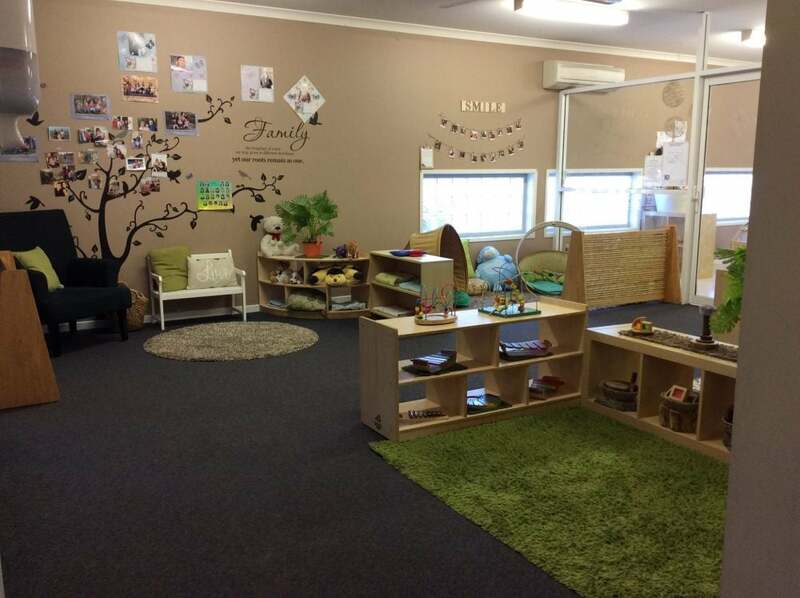 Environments can affect the behaviour of both the child and the educator so it is important to put a little time in at the beginning of each month or week to assess current developmental needs, stages, verbal and non verbal cues,new children, relationships and space …then make changes as needed. This will make things a whole lot easier as you progress and also provide opportunities for ongoing reflection and planning. Before you convince yourself this is all going to be to difficult though let’s take a quick look at some of the absolute essentials I believe you should consider and reflect upon when thinking about setting up spaces for this age group. 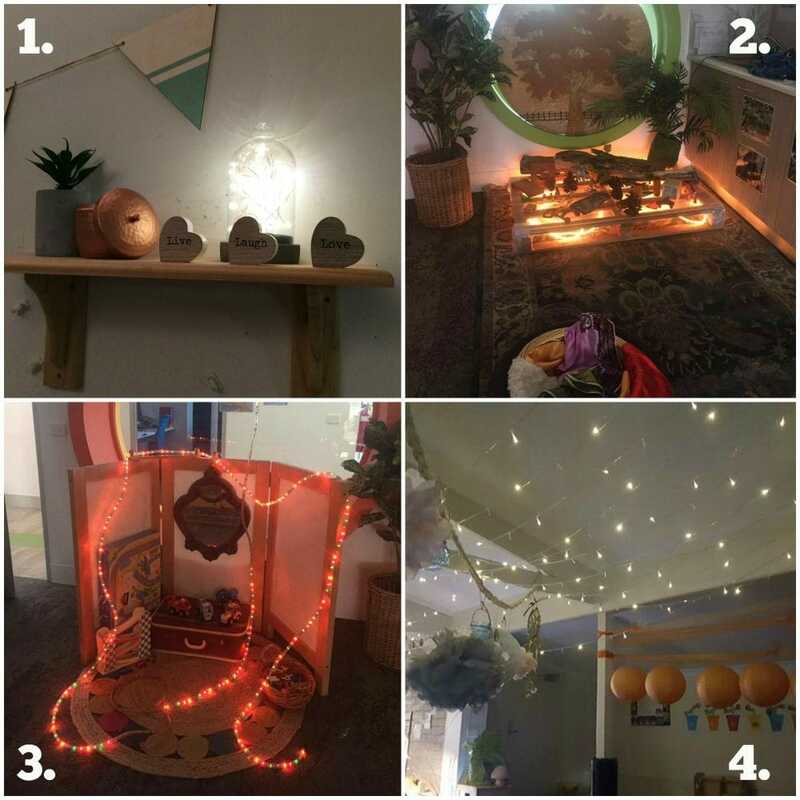 Are you approaching the space with the possibility of it becoming the ‘third teacher’ rather than just a place to change nappies, feed and sleep? 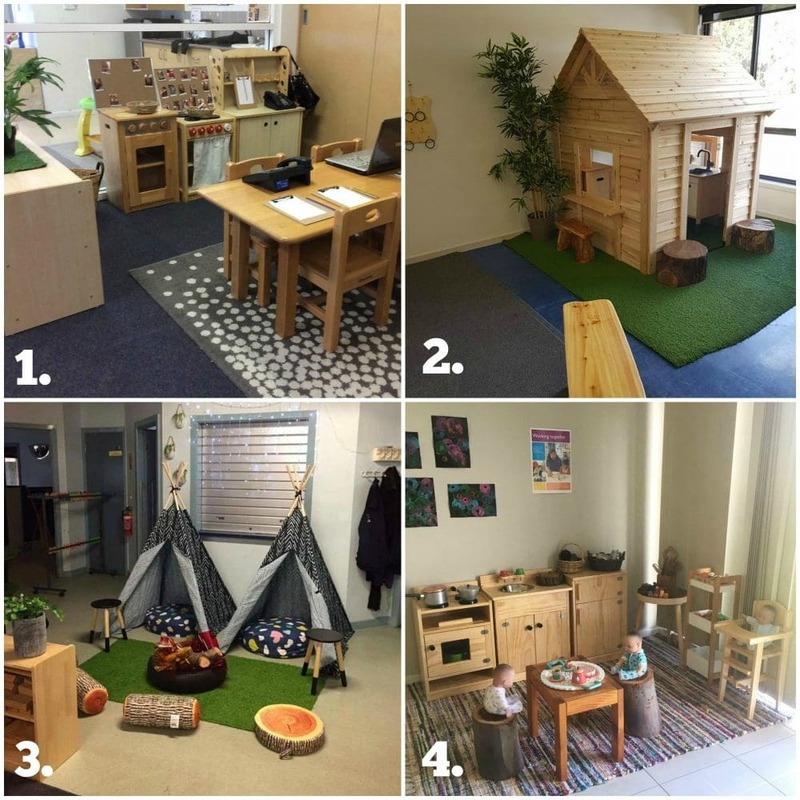 Take a close look at the current furniture being used – is it safe and hygienic as well as welcoming? Is there plenty of open space for baby to roll around, pull to stand, cruise or practice first steps? Think about ages and stages currently occupying this space whether in a family day care or centre environment. 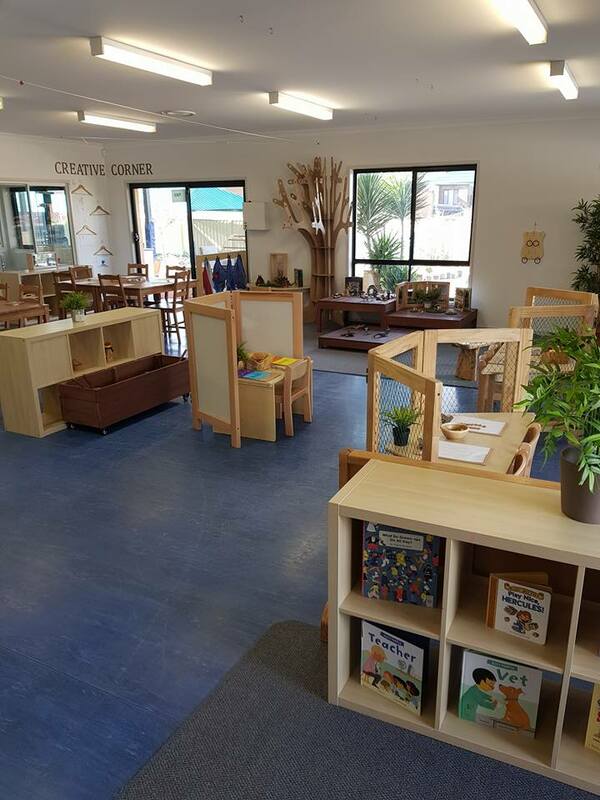 Is there the security of familiar and regular educators, furnishings and also simple activities that support and encourage confidence, trust and a willingness to explore and learn? 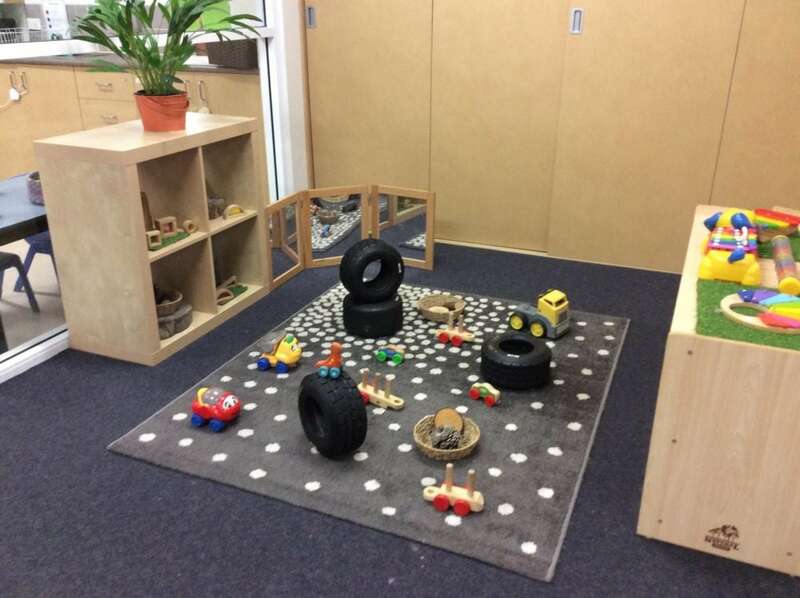 Are there safe yet interesting spaces set up around the room that allow for different ages and stages to explore, try out ideas and actions on their own? 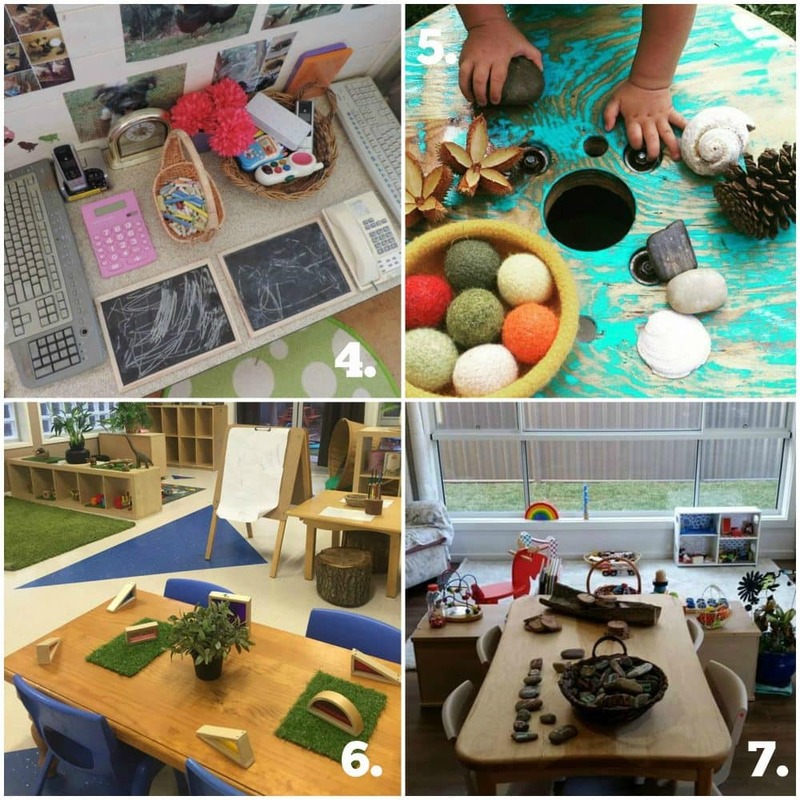 Have toys and materials been provided that allow for open ended play, discovery and learning? 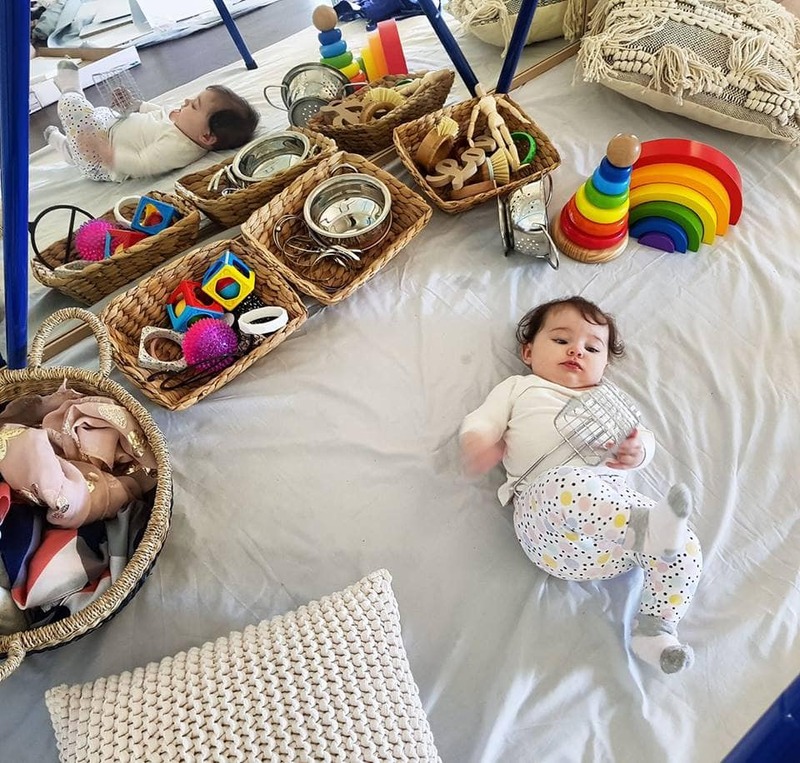 Is there a good selection of resources set up throughout the room for baby and toddler to make their own choices and decide how they will explore and play with those tools rather than an excess of toys that have a ‘right way’ to play or be used? Are toys and other activity resources displayed so they are easily accessed by the different age groups yet not to crowded or overstimulating? 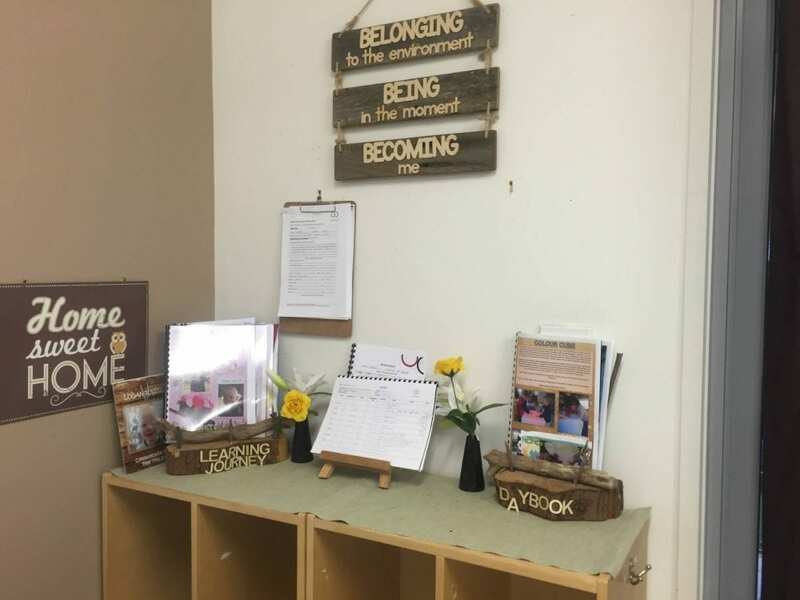 Do educators incorporate and reflect an understanding of family and community culture into the environment in various ways to help children feel a sense of connection and belonging to the space? Have educator needs also been considered? 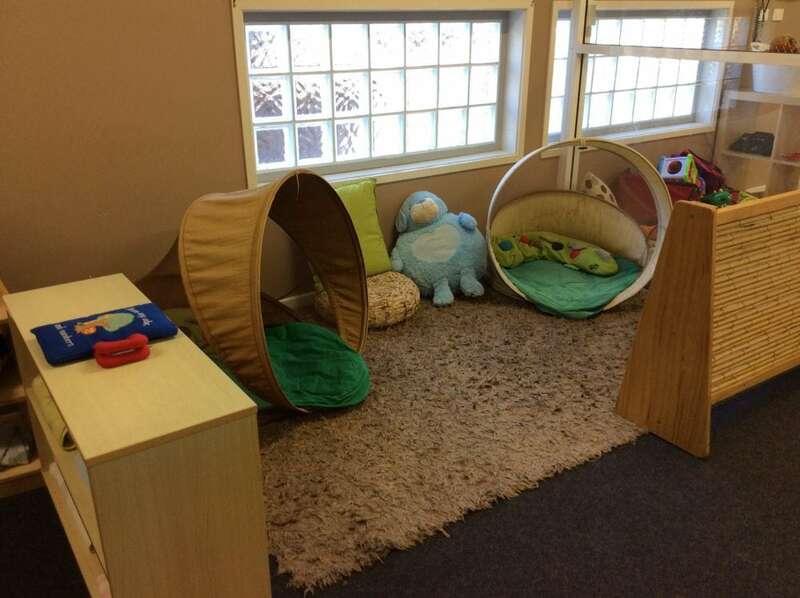 Are spaces and furniture incorporated that support these needs as working with babies and young toddlers can be particularly draining and challenging on the body and mind! Consider availability of comfortable adult sized chairs for feeding, lockers or high shelf spaces for personal items, spaces to take a quick breather, steps for toddlers to walk up for change table time to save back muscles, efficient food and bottle warming equipment. When educators feel their personal wellbeing and sense of belonging is being considered and supported this has a flow on positive effect and benefit on the babies and toddlers in their care. 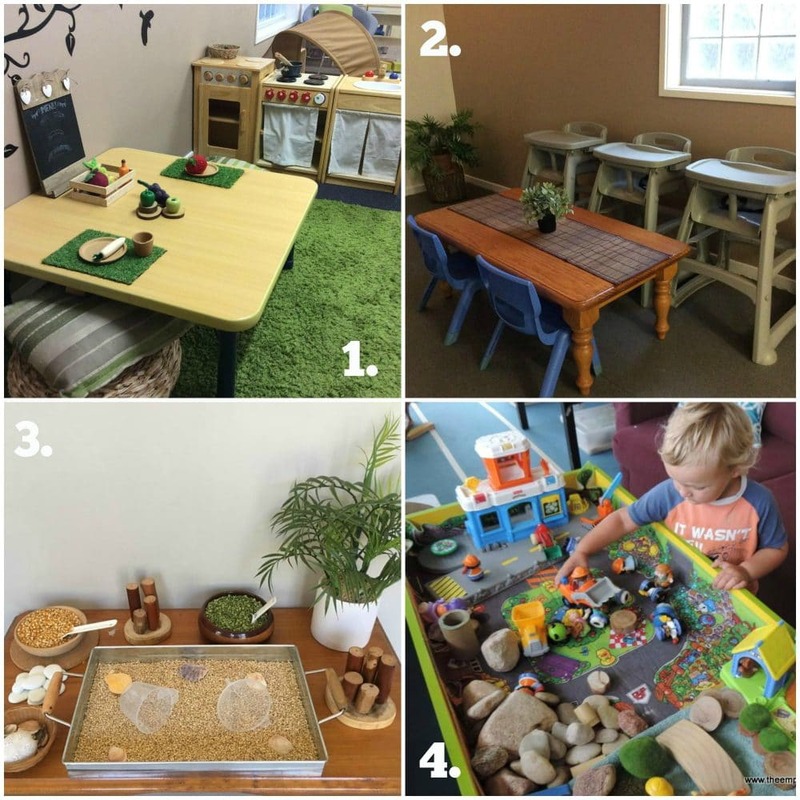 Action Steps to help you design playful learning spaces for baby and toddler. 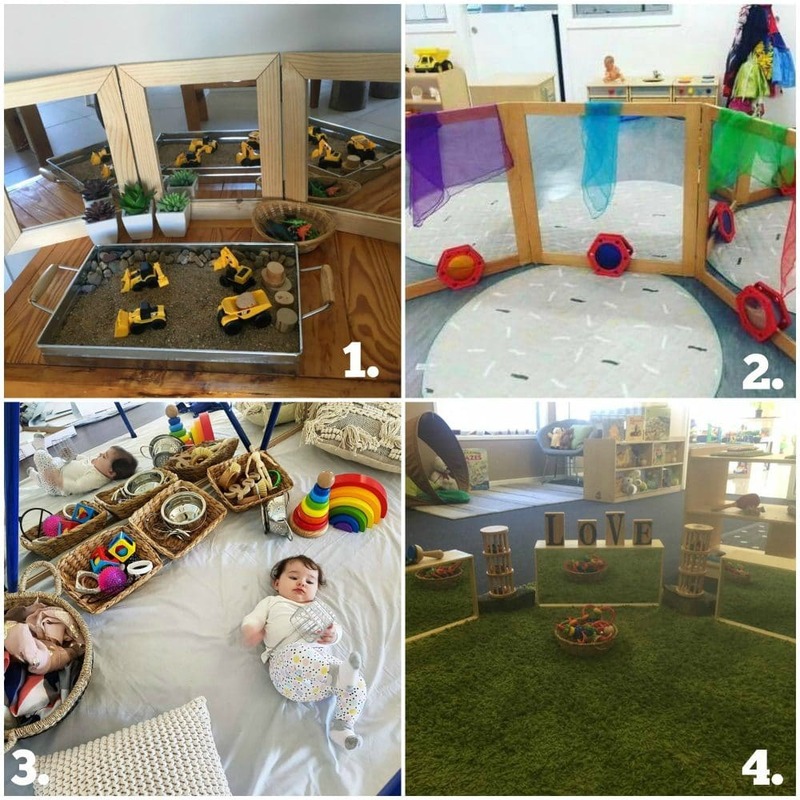 When thinking about creating new spaces for babies and toddlers or reinvigorating current learning areas reflecting upon the following considerations will help you to identify where you might need to start and the materials and resources you need to make it happen. Remember that the process is ongoing so you can take small steps towards a big change – there is no need to let it overwhelm you. Take regular observations of children currently in care to gain a through understanding of their likes, dislikes, individual needs, strengths, developmental requirements and family culture. 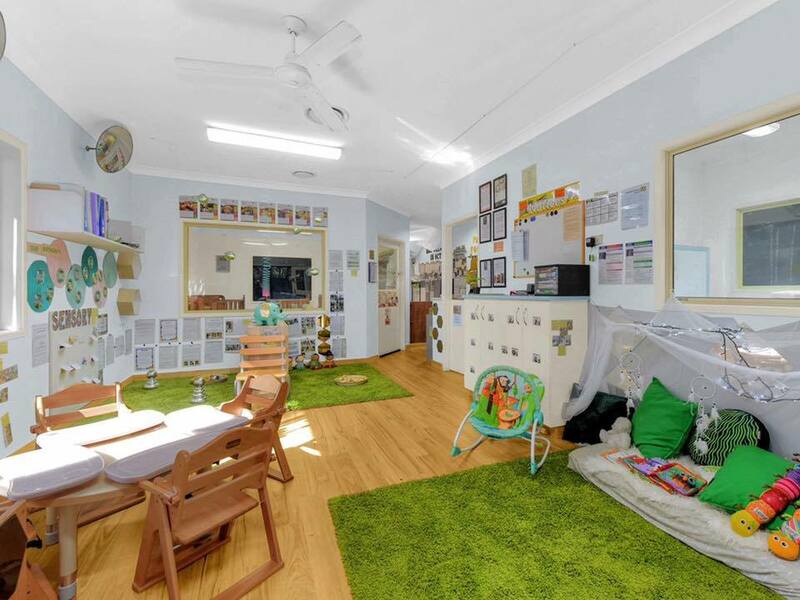 Get down on the floor regularly to view the learning environment from the perspective of a baby and toddler because you might be surprised at what you discover. Often we create a space that we feel is meeting needs and yet when we put ourselves in the children’s shoes it’s a different story! If you work with other team members discuss wellbeing requirements, needs and wishlists. 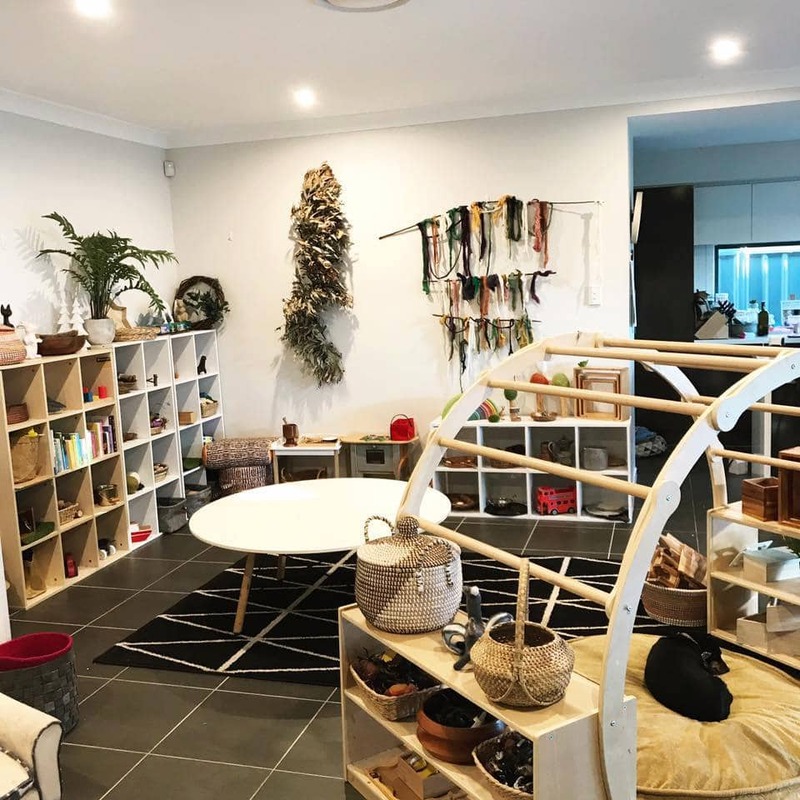 Think about storage and how to incorporate different textures, smells, home comforts, nature and soft furnishings alongside hygiene requirements and essential nurturing spaces. Consider lighting and explore alternatives to harsh bright lights that can overstimulate. Perhaps incorporate lamps, downlights, lampshades or material draped to soften where possible. Is there always music playing in the background that has become simply ‘noise’? 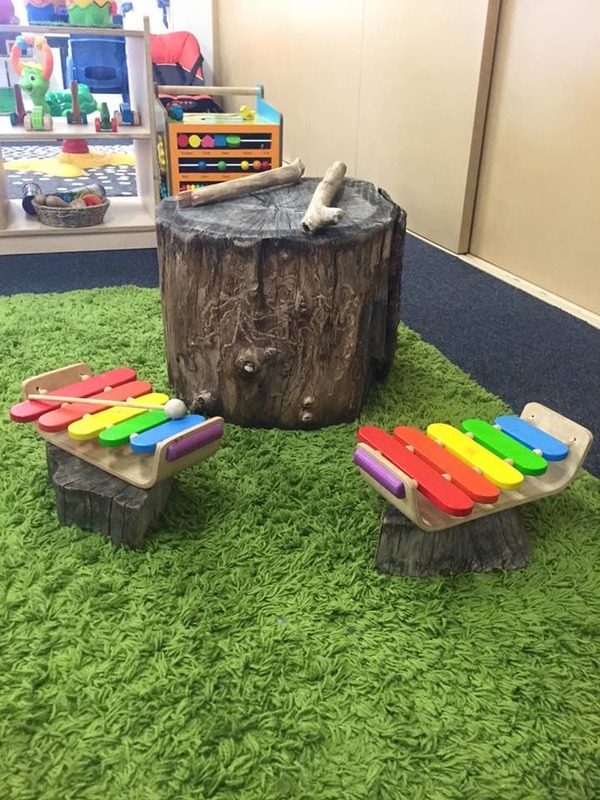 Music is a wonderful addition to play spaces but consider how it is adding to atmosphere and being used. It can become an annoying drone that just adds to overstimulation if always on with no real purpose. Is there a toy rotation system in place so the room isn’t crowded with the same toys and activities week after week leading to boredom, frustration and other challenging behaviours? Are changing developmental needs being observed and taken into consideration at the end of each week before planning ahead? Is there space to move around and greet families and children as they come into care and transition? 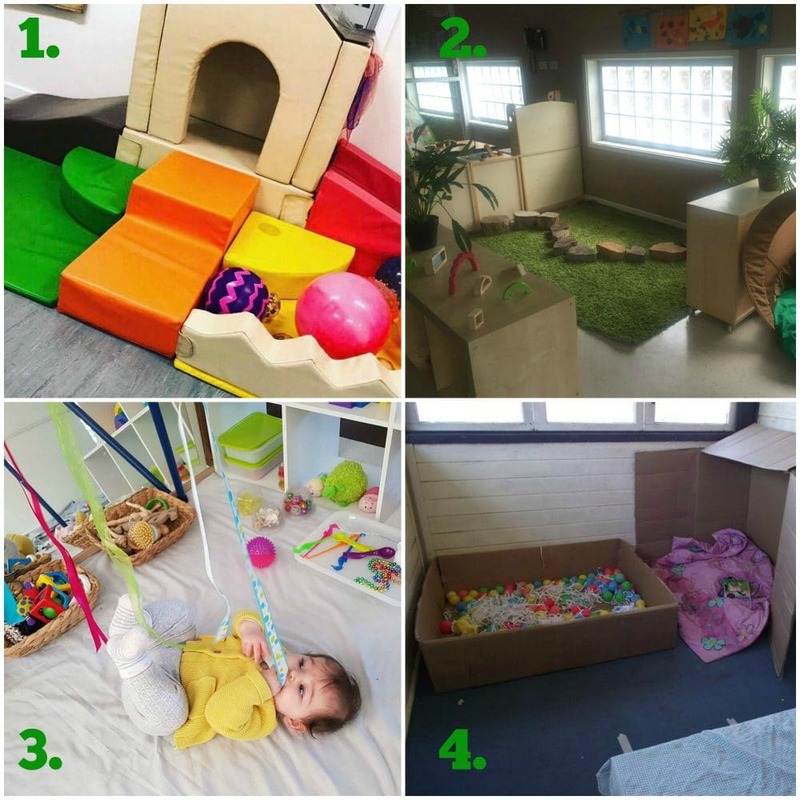 Are the nappy changing and toilet training spaces well thought out with room to store items and individual belongings safely and hygienically while maintaining a home like environment rather than a sterile hospital change room atmosphere? 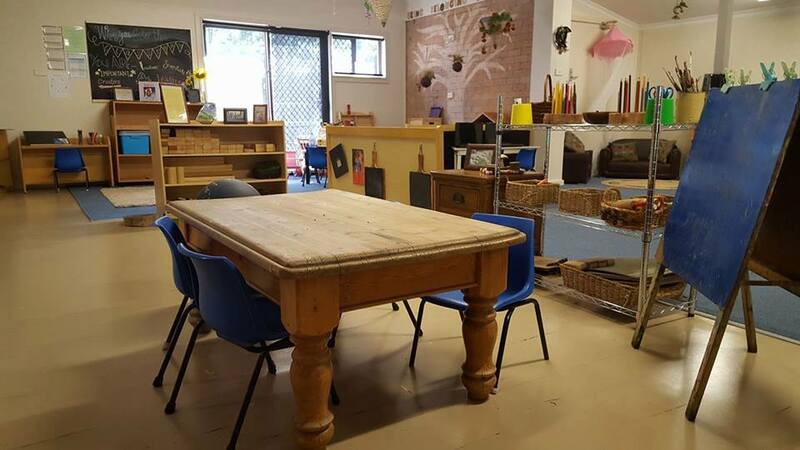 Is the space setup to be used as another area to encourage learning and trust rather than just meeting basic physical needs? Is there provision for quiet spaces as well as active spaces? Are children able to retreat somewhere safe if sensory overload becomes an issue or privacy is required or alternatively get active and noisy? 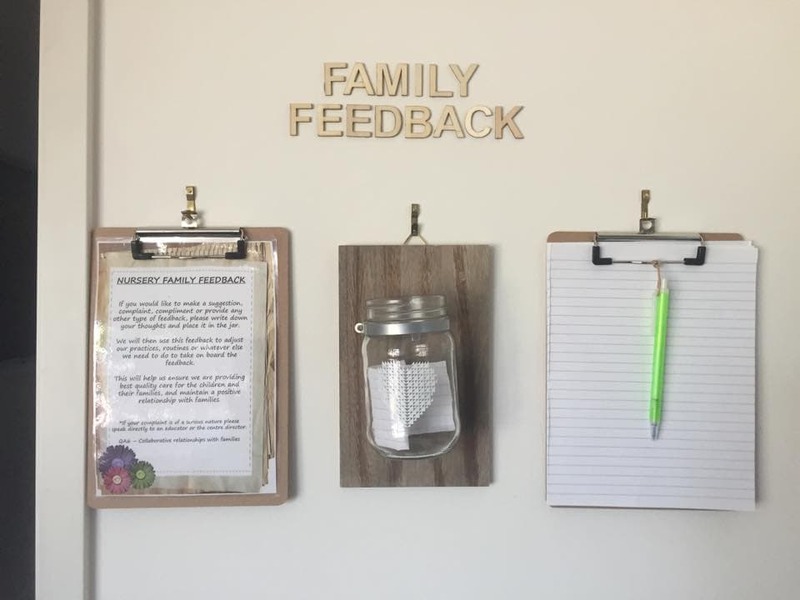 Is display used throughout the environment respectfully to share children’s work and progress with family while also helping to provide a sense of connection for baby and toddler? 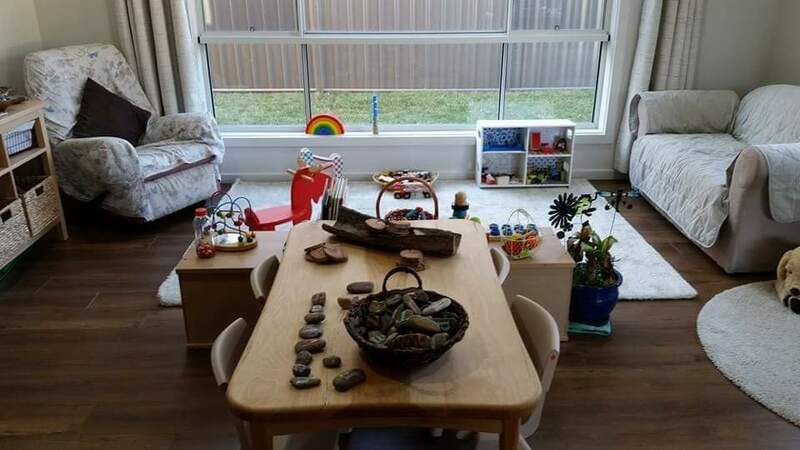 Are there displays, images, special objects and homely touches placed often at the children’s level to help reinforce that they are welcome and part of this space? Is the environment (and the educators) flexible enough to allow for the differences between fast changing skills, interests, and characteristics? 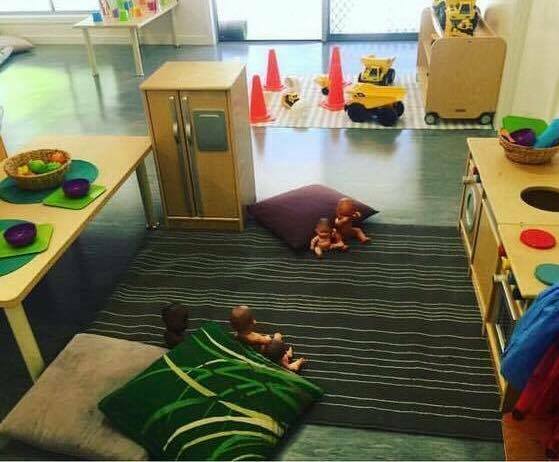 Are there safe spaces for babies not yet moving but more challenging spaces for older babies and toddlers to explore? Is there an overuse of bright colours, images and display that might be overwhelming every day? Neutral paint colours and furnishings often provide a calmer atmosphere and help create a warm homelike feel that promotes a sense of security and confidence. 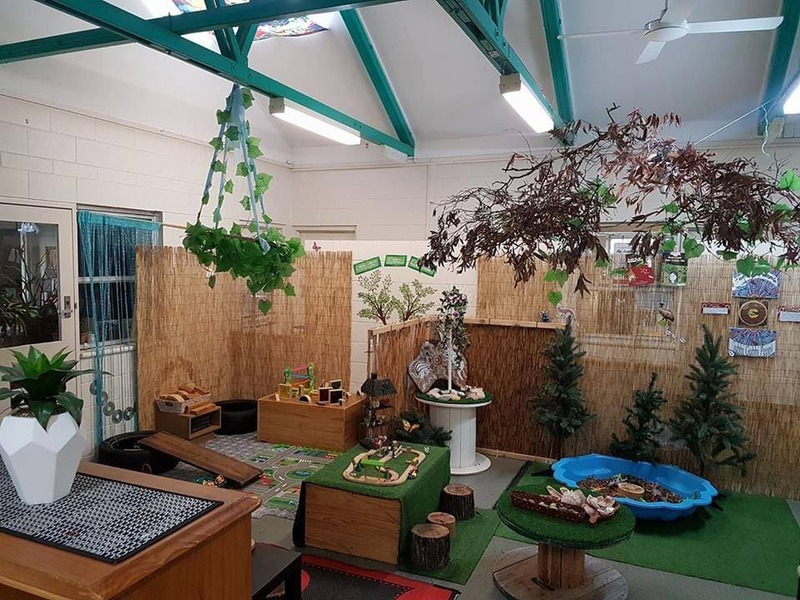 I love to incorporate smaller individual areas within a room to provide plenty of opportunities for different learning experiences and exploration. It also helps keep boredom and frustration at bay and supports young children to challenge, experiment and problem solve. However, although designing smaller spaces to encourage play and learning in different ways is usually helpful it is important to keep in mind that you aren’t seeking to contain the play to just those designated areas – children should be encouraged to freely move materials and resources from one area to another and use them in their play in different ways so they feel a sense of ownership and in charge of their own learning. 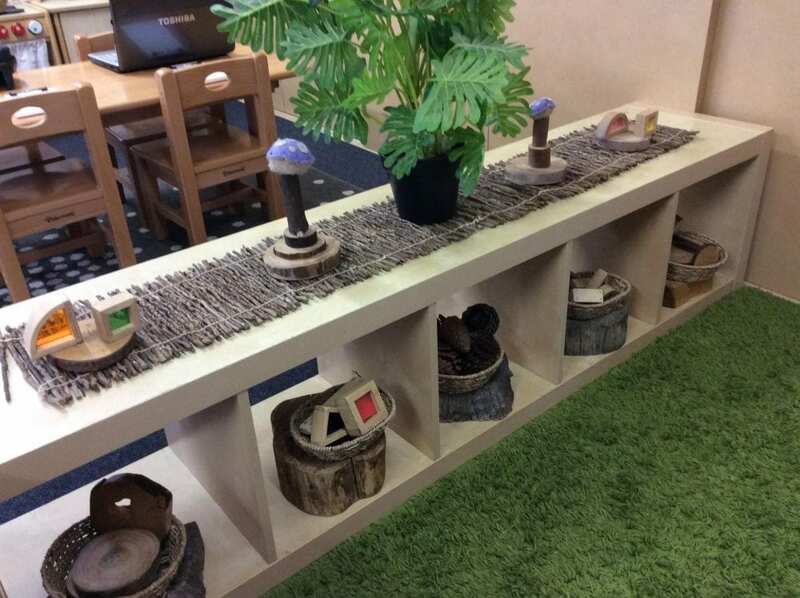 We want to provide an environment that supports them to experiment, challenge, problem solve, communicate, explore ideas, make sense of their world and create with different materials. 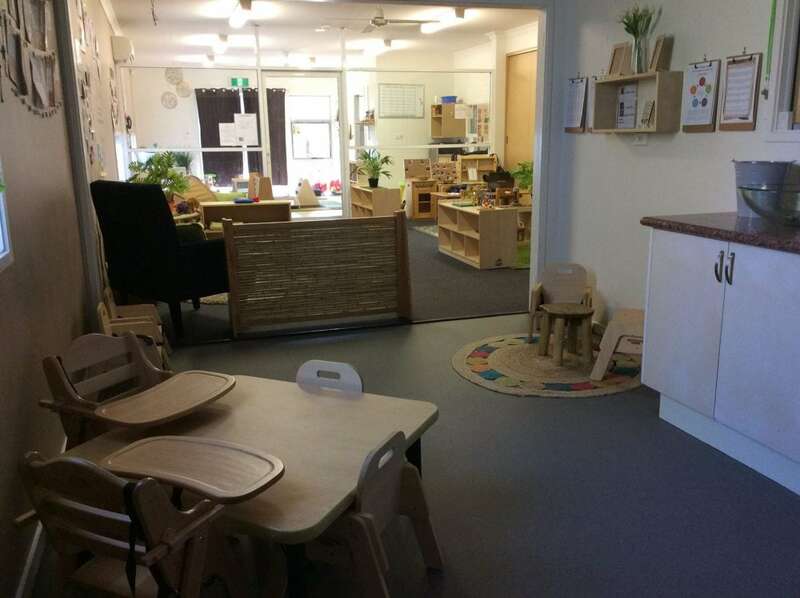 It is important that educators have a good understanding of the children’s ages and needs interacting in the learning space at all times because this should determine how to break up the environment and if there actually needs to be more open learning space due to younger babies in care. It should be ever evolving as long as the basics we discussed above are already in place to form the ‘bones’ of the learning area. 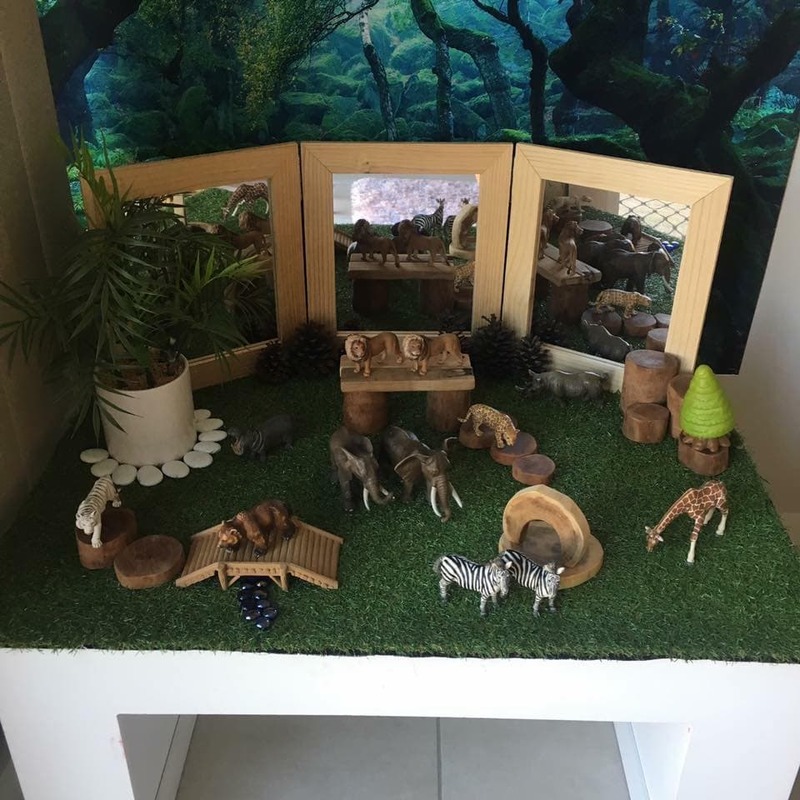 There are no rules as to whether creating smaller areas works better or not – my best advice is to give it a try, get creative after observing the needs of the children currently in your care and see what works and what doesn’t. This is where simple back to basics programming and planning comes in. 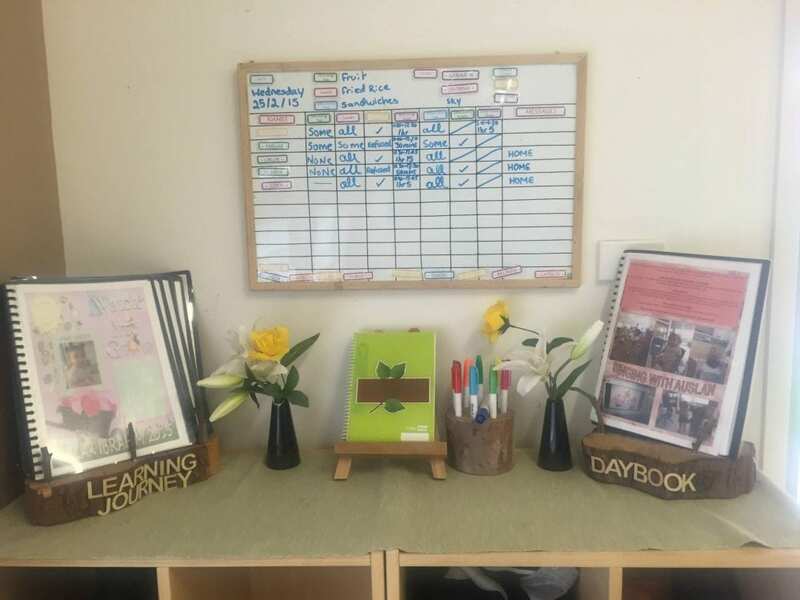 Use observation and regular reflection to identify needs and goals and think about how you can plan for this using the playful environment and third teacher perspective rather than just what ‘activities’ or learning outcomes you can tick off. Soft, Cozy, Comforting Spaces for those that need alone time, privacy or time to process sensory overload. Think floor cushions, blankets, rugs, draped material to form enclosed safe spaces. 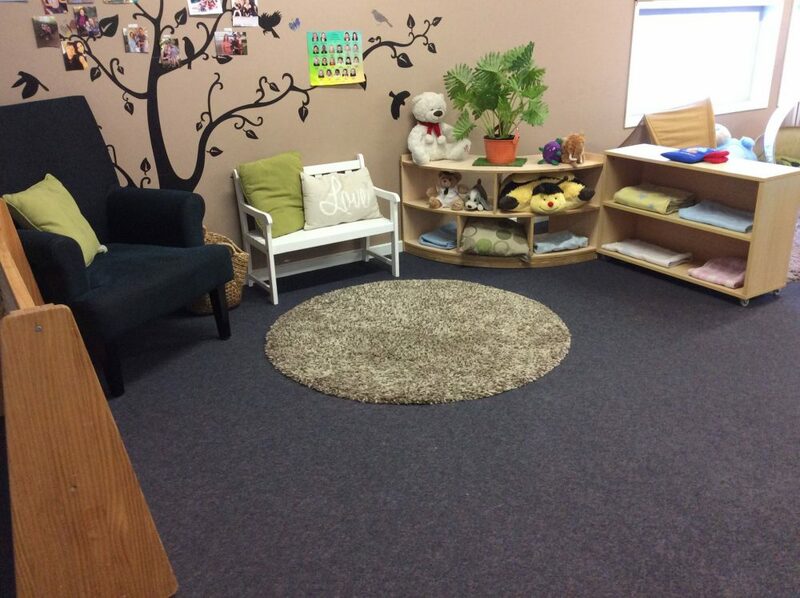 This area can also incorporate or align closely with a book nook and language area. 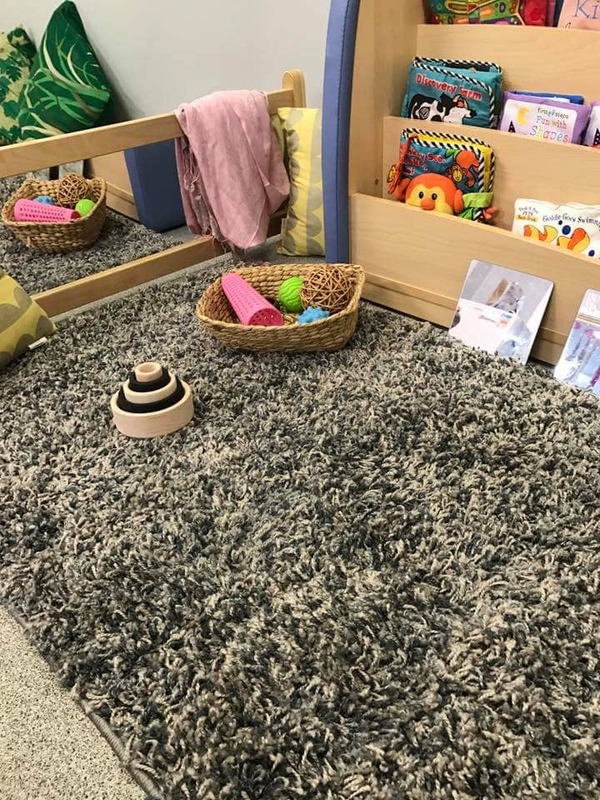 Space for Younger Infants set up with different materials to grasp, kick and reach for while still providing enough space to roll around. 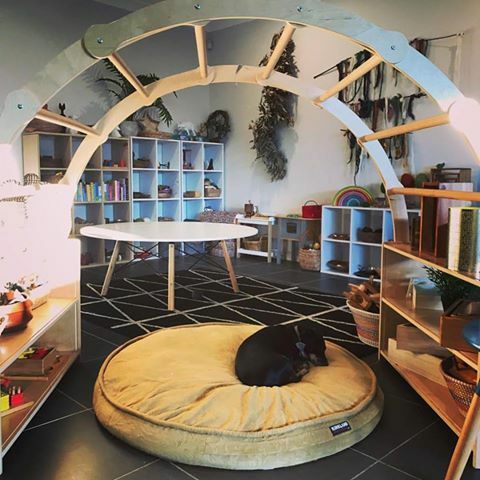 Keep it simple – no need for expensive toys, get creative with material scraps, scrunched paper, recycled materials, repurposed furniture to create hanging spaces. Mirror and Reflection Spaces down low to explore faces, expressions and self. 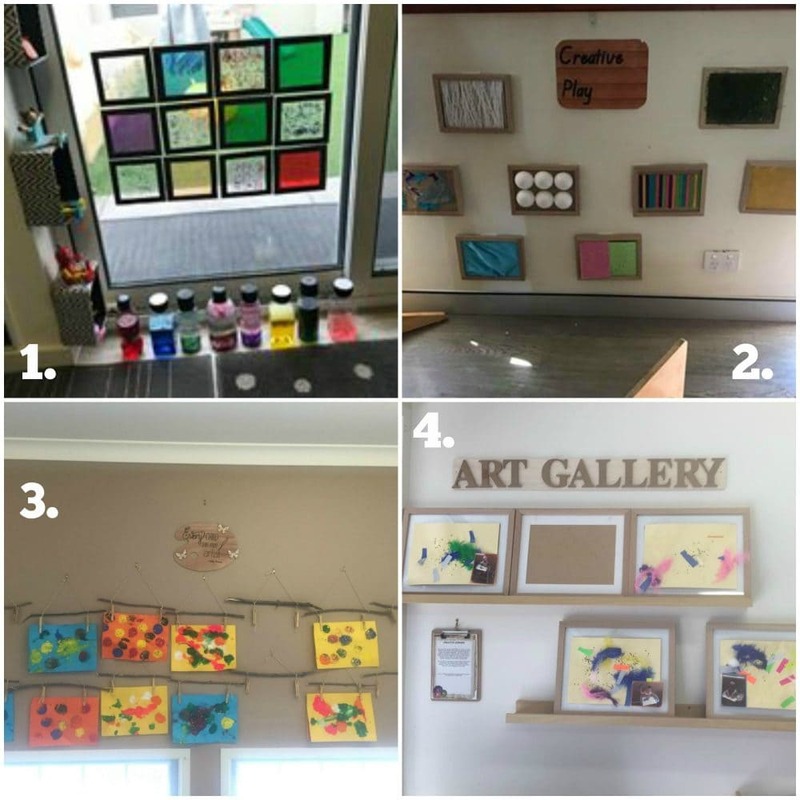 Displays and images on the floor and bottom half of walls for younger babies. 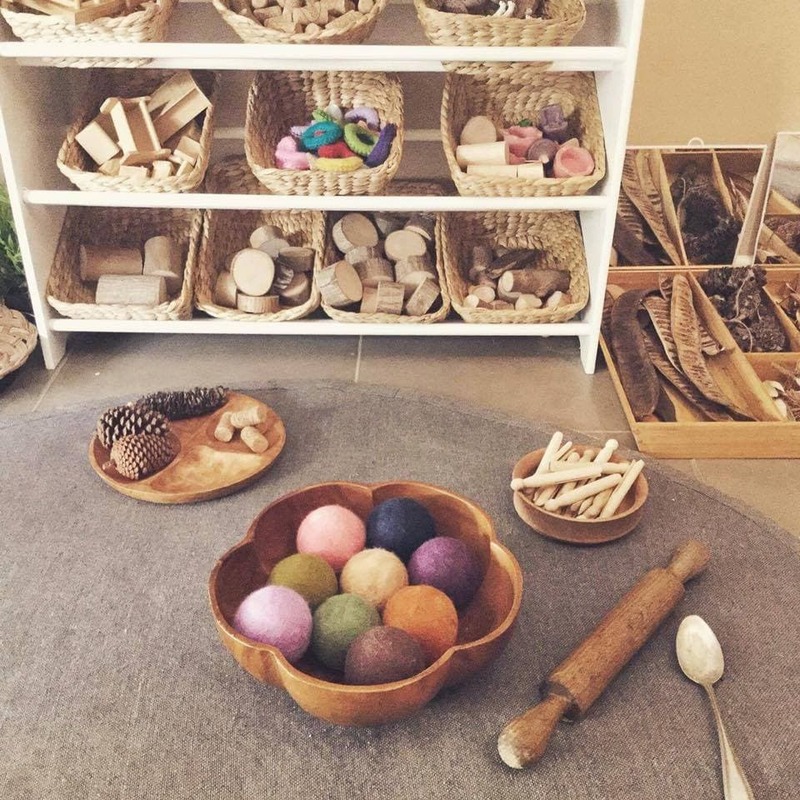 Sensory Spaces for children to explore different natural materials, sounds and smells. 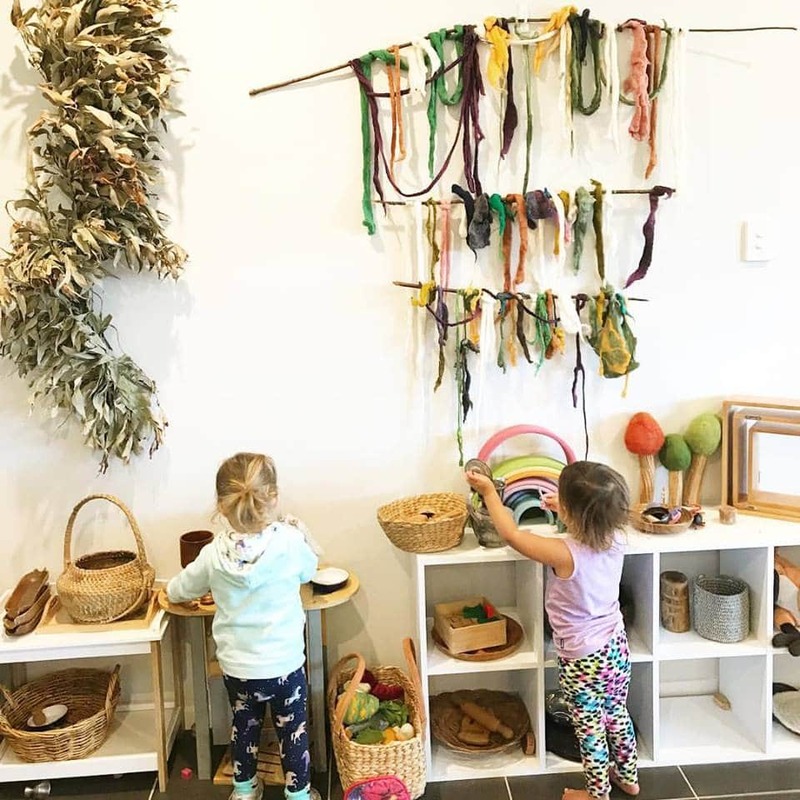 Provide simple tools to make music with, resources to sniff and explore with little noses, baskets filled with different textures and tools that can be taken out and investigated using all of the senses. 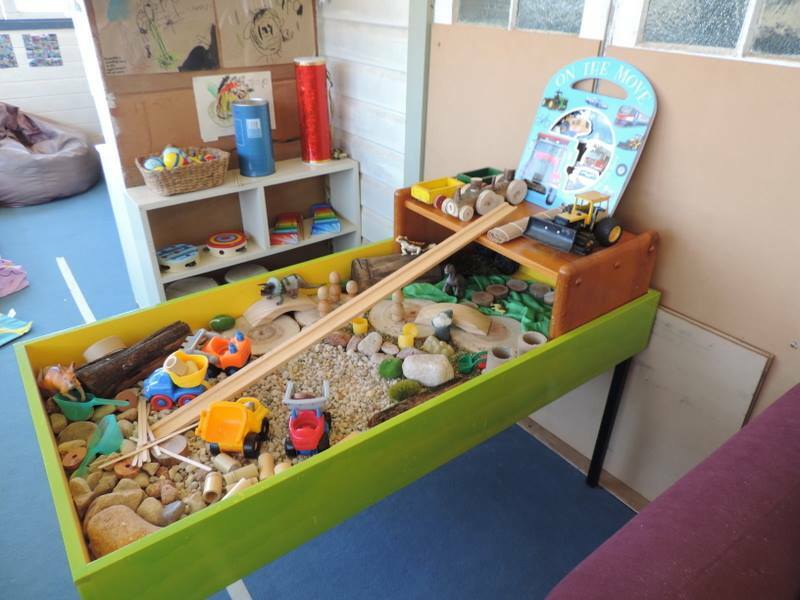 Noisy Construction Area – A place to store building materials, loose parts to add to the play, trucks, cars, wooden blocks, larger natural materials and recycled items. Needs plenty of space to allow the spread of construction and thought processes as they create and experiment. 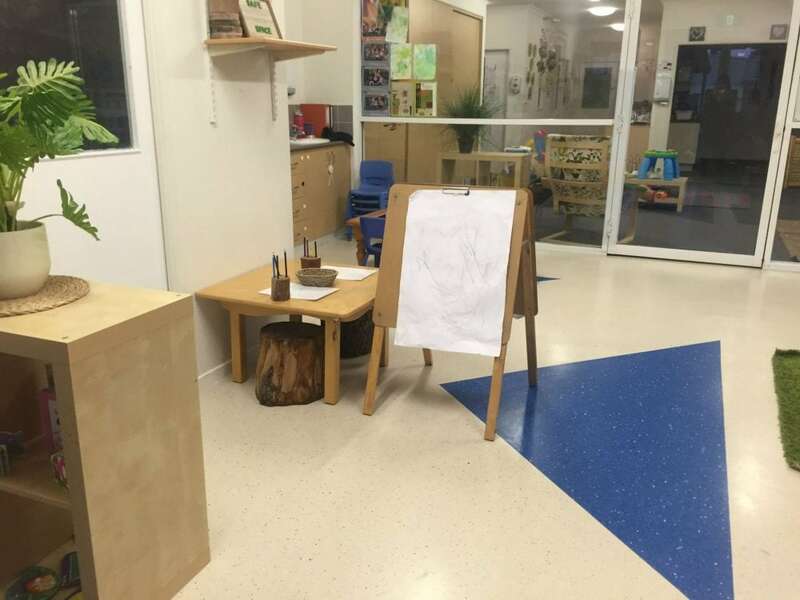 Dramatic Play Areas – Keeping it low and simple using real tools as props, familiar materials from home and real dress ups from the op shops encourages role play, language skills and imagination. 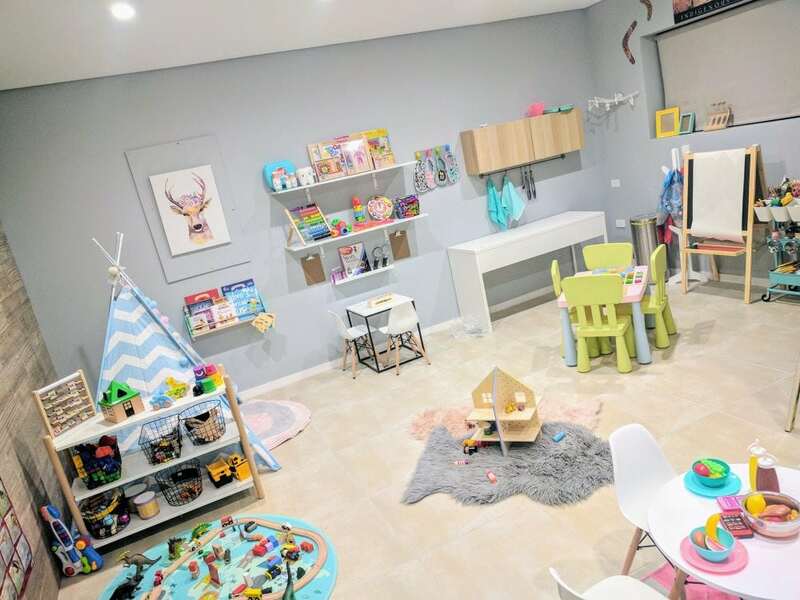 It is also an area that will often keep the toddlers busy and happy doing their own thing while you attend to younger babies needs. It’s also less stressful for educators as you don’t need to worry about the mess going everywhere inside and it’s a whole lot easier to clean up and pack away while colourful hands are leaving prints on your backside! 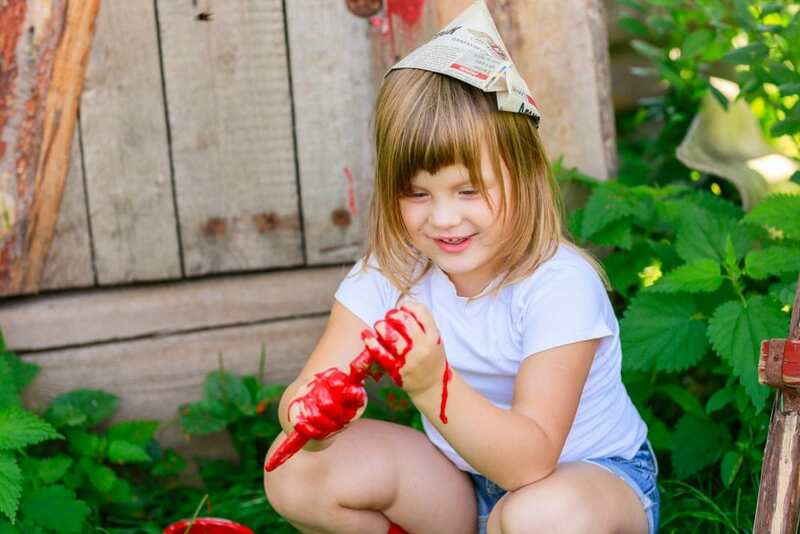 You want to encourage them to explore and get messy, not try and control every step of the experience. 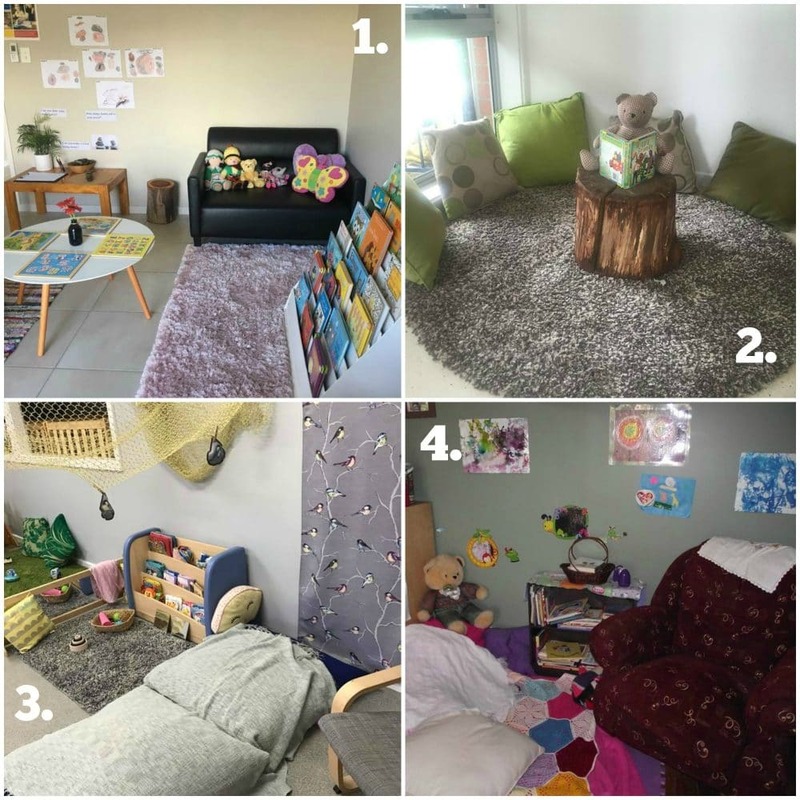 Feeding and Sleep/Rest Spaces – consider supervision, ease of access, comfort, safety, hygiene, individual differences in routine, creating a sense of belonging, familiarity and home. 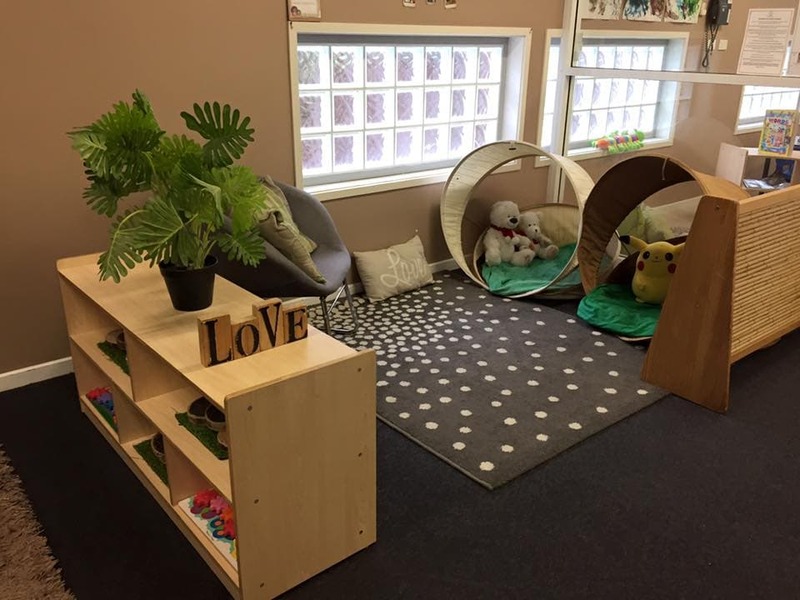 Spaces for Adults – Areas that welcome and support both parents and educators wellbeing. 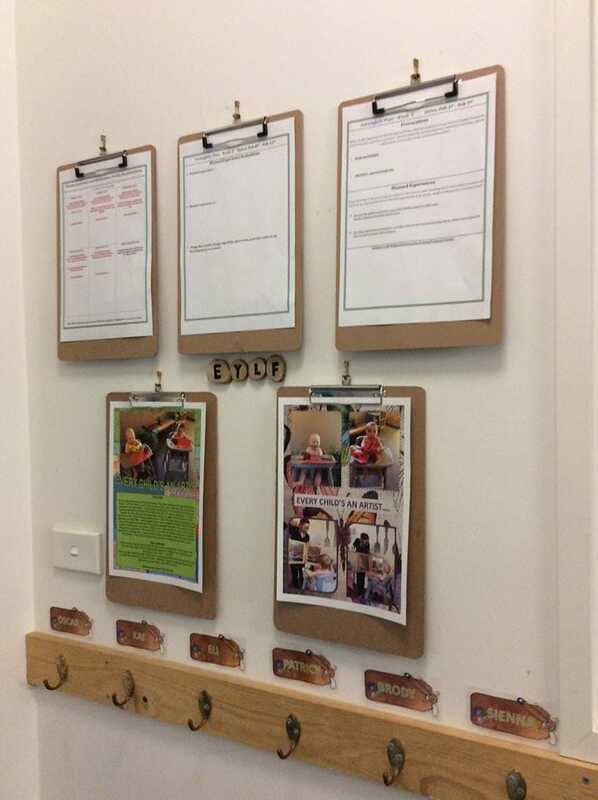 Easy to access educator resources for on the go documentation, reflection and handovers. 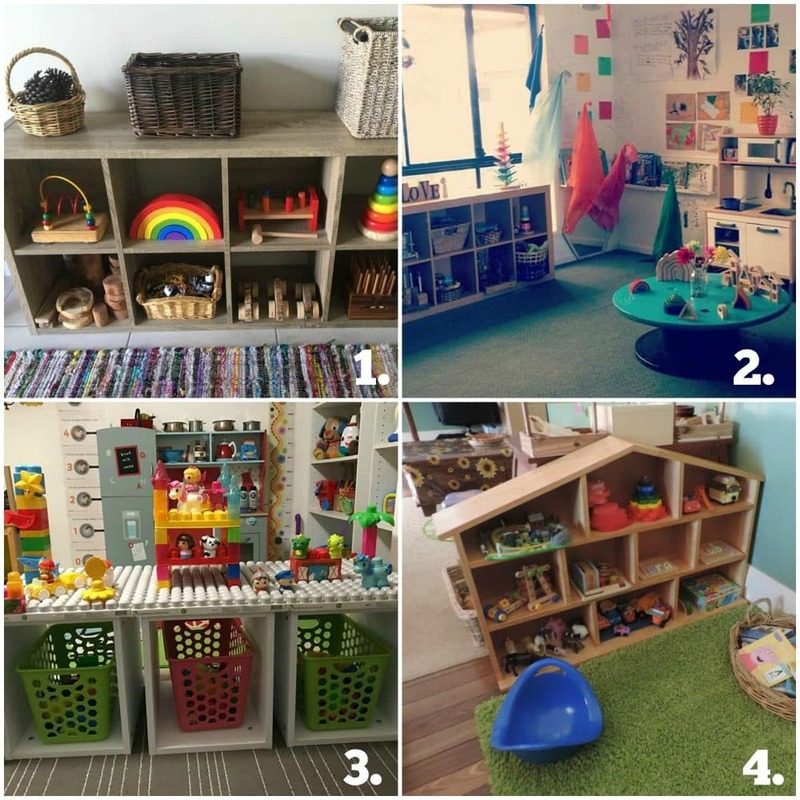 Storage Spaces – Consider options that make access, storage and pack up easy for both educators and the children. 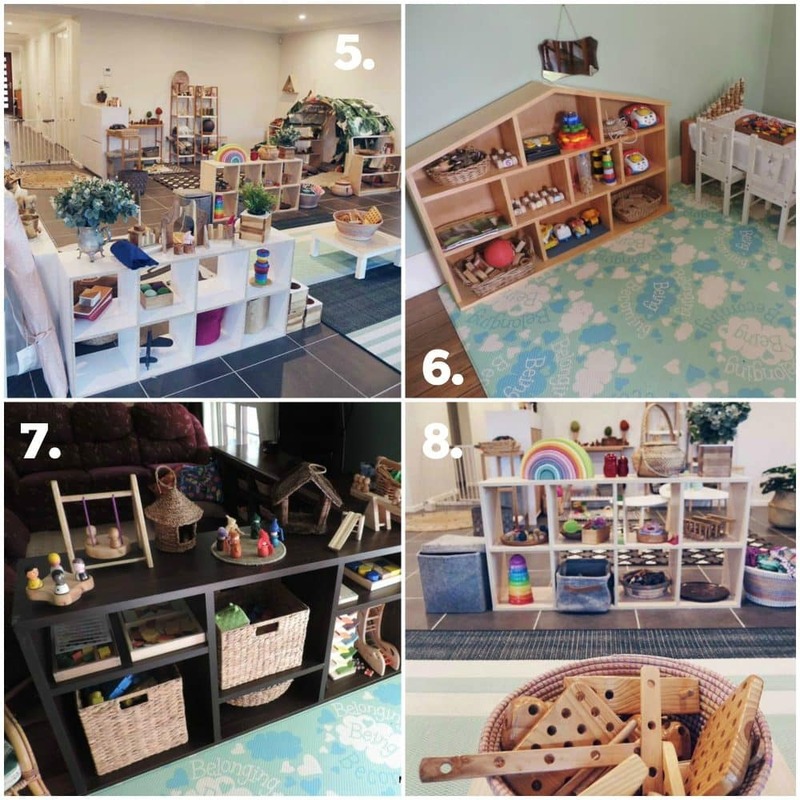 Use open shelving and keep toys and other materials in single rows with space arranged between so little hands can easily grab what they need and also see at a glance what is available. 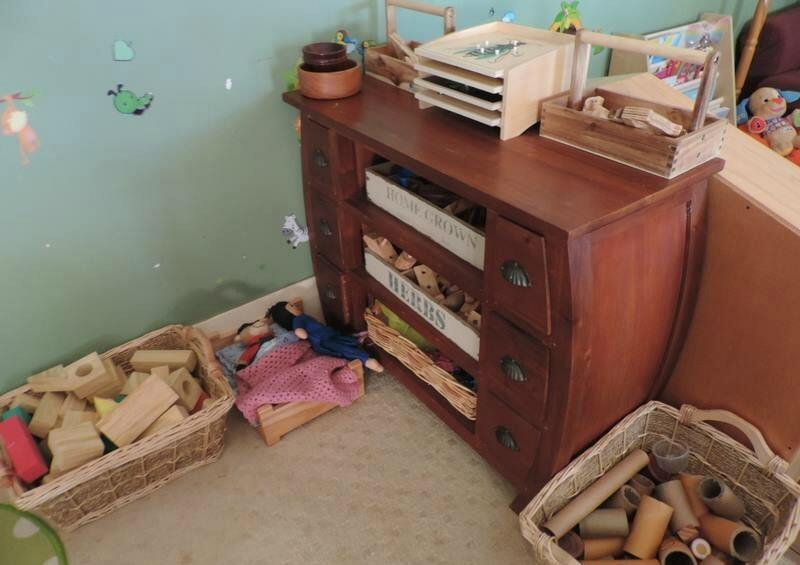 If you try and pack to much onto a shelf or into a basket it makes it difficult for a young child to make a choice and connect together the items they need. 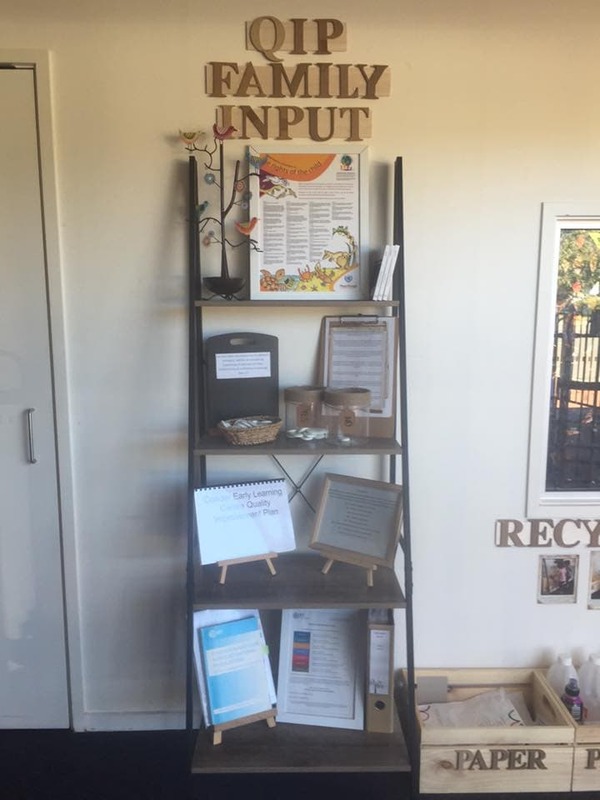 Having set places and storage baskets/containers along with simple picture labels can also help with speedy clean ups and encourages toddlers to take part in helping look after their environment and feel useful as they take small steps to help clean up after themselves. Clear containers and shallow baskets also allow for easy access and a way to store smaller items that might need to be placed out of reach on certain days. Creating different spaces and learning environments for babies and toddlers can seem overwhelming when you are not sure where or how to start but it can also be a fun creative process that in the long run will help busy educators to save time, write less, extend upon understanding of developmentally appropriate practice and and most importantly provide a safe, welcoming, challenging, nurturing and creative play space for the important little people sharing the environment with you! 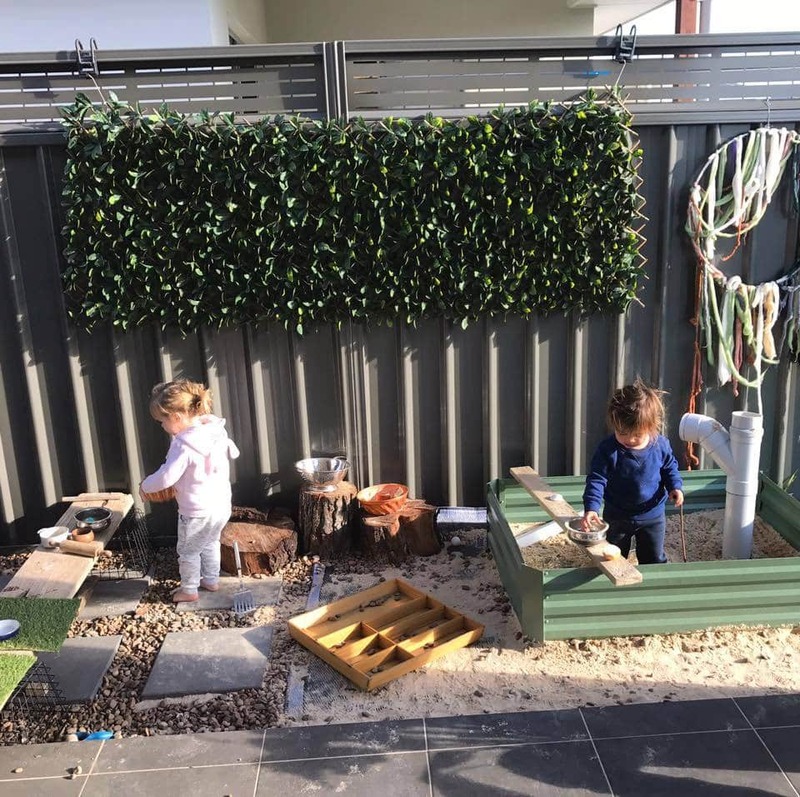 Keep an eye out for the next post in this Baby and Toddler Play Series where I’ll be sharing lots of simple, cost effective ideas for incorporating play materials loose parts and engaging activities into the learning environment. I will help you to think outside the box a little, ditch the plastic ‘only one way to play’ overpriced resources and toys and make the most of what you probably already have! Working with a baby and toddler age group doesn’t need to feel like all you do is change nappies, feed endless mouths, settle to sleep and comfort – these things are very important but it’s not your entire role so what steps are you going to take this week to make a few changes and find that missing work mojo again? If you need a little more help to get started you can download my free PDF factsheet resource outlining the main strategies and ideas included in this article. Click below to download a copy to your inbox now. Love Pinterest? – pin the image below so you can save for future quick reference! This is absolutely brilliant thank you for sharing. 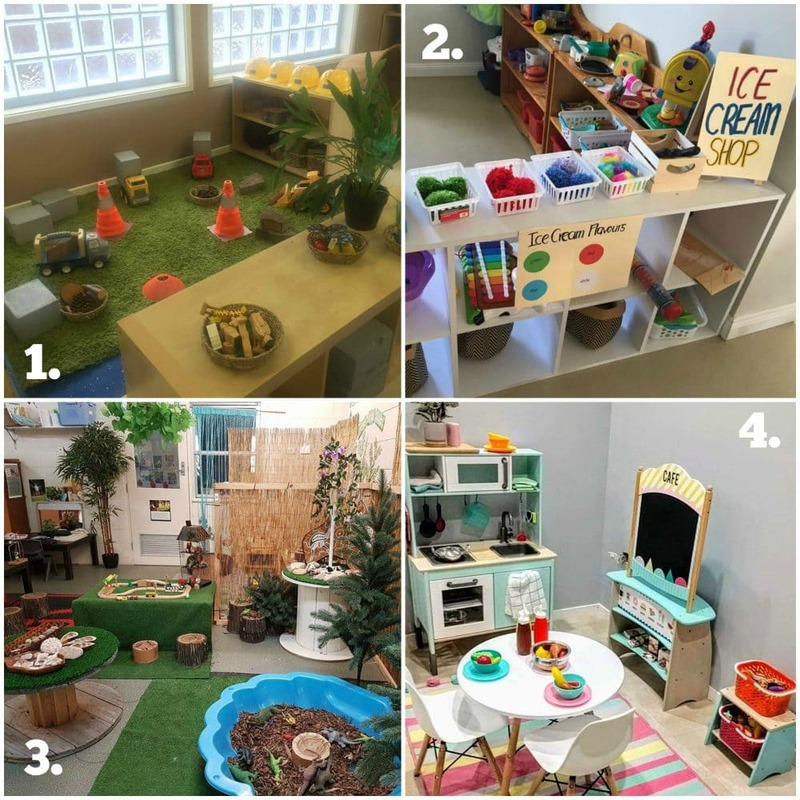 Fantastic play spaces! Love the natural materials! Are most of the center based classrooms mixed ages of infants and toddlers? I am interested in the setting up of the “adult spaces” in the environment. What all is included in the family feedback and space for adults pictured here? I believe they are from Sarah Hart – is there a way to get samples of what is shown? 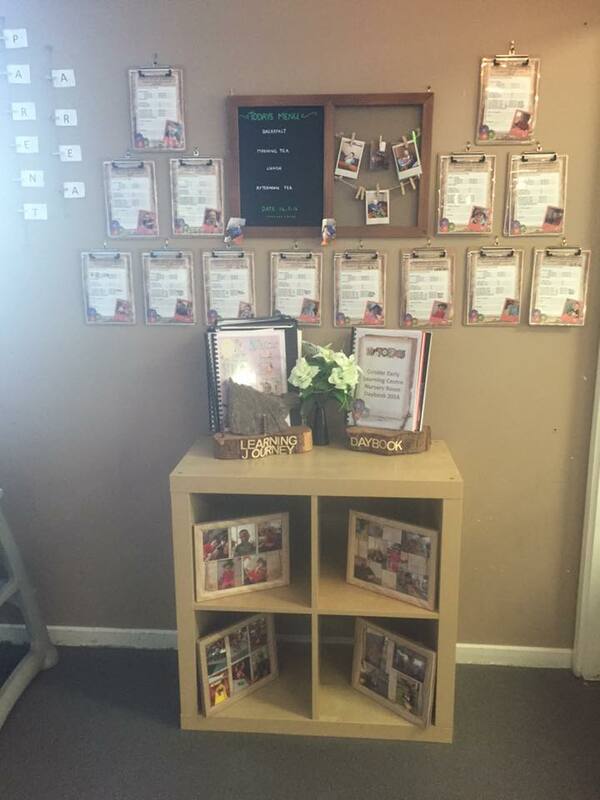 I’m teaching a class and this blog is a beautiful example of best practice! Thank you! Amazing ideas. I am keen for my staff to have a read anyway I can share the page rather than tag them in? Hi Roz, glad you found the article useful. 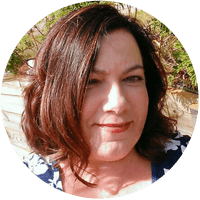 If you click on the box in the blog post you will be able to enter your email and download a PDf booklet of most of the information in the blog – then you can just email it to your staff or print. Otherwise you could just share the url of the post with them to look up? Absolutely brilliant thanks for sharing ! !